Instead of purchasing 2 separate machines, save money and space when you use the Galvanic/High Frequency Unit from Natali Products. With the high frequency electrical stimulation, you can address many popular skin concerns in a non-invasive and effective way. As you know, excess sebum and waste matter can clog or cover a person’s complexion and make it look dull and lifeless. 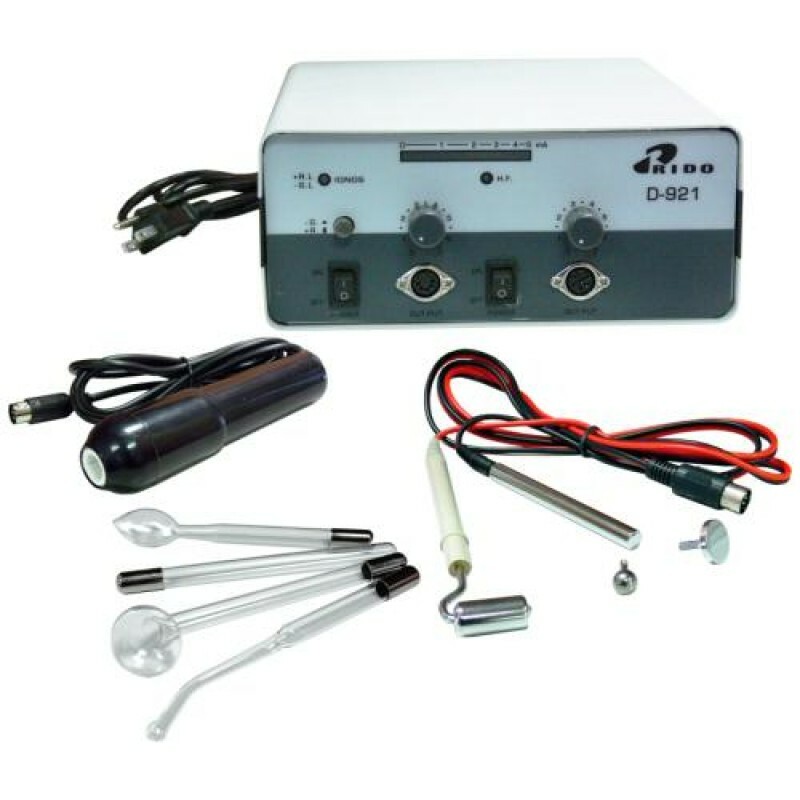 This galvanic/high frequency device allows for 2 processes to take place – desincrustation and iontophoresis during a facial treatment. It comes with all the electrodes, handles, and wires you need to get up and running. Also check out our other spa equipment for sale. We offer a wide variety of esthetician supplies and devices at affordable prices to ensure that you’re always able to offer clients the latest and most effective skincare treatments! Note: Spare parts are available for this unit. Click here to view or buy! Can be found under Parts & Consumables.